The best laid plans, get turned on their head. Or maybe shuffled is a better word. The timetable Luisa and I had drawn up for The first Language of Food was full but measured, and neatly punctuated with rest and free time. It was then shuffled like a pack of cards, and every gap filled when it became clear that everyone wanted to write more, see more, cook more, talk more, taste more. Not that this presented a problem. Quite the opposite in fact, having a group that was so greedy for it all was completely brilliant: enthusiasm it seems, makes time. We fitted in more hours with Fabrizia in the kitchen, more time in the olive groves and garden with Ben the gardener eating herbs and greens like rabbits, and more time writing, discussing (nattering) and reading at the library table, the white embroidered cloth covered with open books of inspiring food writing, Sicilian sun filtering through the thin curtains. Keep expectations flexible, is one of my dad’s favorite expressions. It was how Luisa and I approached our first writing workshop together, after all we really had no idea what to expect. Of course we’d planned discussion, exercises and talks – especially Luisa who has much more experience than me – and everyone had read the chosen pieces. But we still had no idea what it would be like. Keep expectations flexible. Then in much the same way they had approached time, Anna, Gry, Susanne, Elizabeth, Gayle and Francesca approached writing, bowling us over with their enthusiasm. Of course there was inhibition and caution, but isn’t there always? Beyond that were honest, moving, funny words, and a willingness to write, and write. Before we started, someone asked me how much you can learn from a five day food writing workshop. My answer a year later, is plenty: about your own writing habits and those of others; better understand what it is about particular pieces of writing that draws you in (and what doesn’t); how to take advice; how your writing affects others; the importance of reading the good stuff; the need to start writing regardless of a hundred doubts; the importance of editing and editing (yes I wish I had an editor for this); How to write a good, clear recipe; when to show (stories and details) and when to tell. These were some of the things we learned, most of them blindingly obvious maybe, but no less useful beacuse of it. Things we put into practice while we were together, but more importantly took away with us, hoping they would worm their way into our writing, which they did (we have all kept in touch). Predictably the location, an extraordinary cooking school on the crest of a hill overlooking a valley in Sicily, was inspiring. Not only because it is so magnificent and atmospheric, but because you are so close to the source of so much, golden fields of wheat, orchards of citrus, vines dotted with the first signs of budding grapes, ancient olive trees with their twisted trunks and mad windswept branches that look like Einstein’s hair, six foot wild fennel plants with gangly stems and tops that look like inverted lacy umbrellas, the disconcerting tangle that is a lentil and chickpea plants (actual lentils and chickpeas on actual plants – I was stunned). I could go on. Close to the source, and also stories: thousands of years of history and tradition seem on a sort of parallel plane in Sicily, as if you can touch it all, eat it all, which of course you can. I can’t help but think of a Jane Grigson quote here, that food, its quality, its orgins, its preparation is something to be studied and thought about in the same way as any other aspect of the human existence, and then think that Sicily is a fine place to do this. Then there was the preparation of food as a group, one of life’s great pleasures, the scents and our words fighting for airspace. The food we cooked and ate was inextricably tied with the place. It also transported us – as only food and talking about food can – from a valley in Sicily, to England in the 1970’s, Berlin in the 80’s, a supermarket in Chicago, New York restaurants, Canadian winters, Strawberry eating in Germany, a childhood in Sweden. We thought and wrote about family, traditions, etymology, fast food, slow food and everything in between, politics, life and loss. Food writing it turns out, is about everything. All this to introduce the fact that Luisa, Fabrizia and I are thrilled to be holding the second edition of the Language of Food this June at the Anna Tasca Lanza cooking school. The Itinerary is below, set but flexible. Rest assured we will be writing, reading, cooking, exploring, making merry each night. I have written about the school before, so you may like to read that. Luisa has also written about last year’s LOF. Also go follow the progress of Cook the Farm, a 10 week course that is happening at the school now, it will give you a great sense of the place. Now I know it is a big commitment, but it is going to be wonderful, it would be lovely if you could come. The Language of Food second edition, June 20 – 25 2o16. Before the course participants will receive six pieces of writing, each one highlighting a aspect of food writing we will then discuss. This years selection include peices By Mary Taylor Simetti, Jane Grigson, Fushia Dunlop, Simon Hopkinson, Deborah Madison and M.F.K.Fisher. Arrive in late afternoon or early evening, introductory discussion over Sicilian aperitifs and then welcome dinner at Case Vecchie. Afternoon visit to local shepherd and cheesemaker Filippo Privitera, where we will watch traditional ricotta production and sample both freshly produced cheeses and the family’s aged cheeses. Post visit writing session. Salad collecting and garden talk with Rachel, Luisa and the gardeners,. Dinner at Case Vecchie. • Post-dinner gathering and reading. A morning trip to natural hot springs. Late morning writing session, followed by lunch. Kitchen round table writing session about descrptive food writing, and clear recipe writing. Cooking lesson on Sicilian classics and dinner. Film in library. Morning writing workshop, bread making tutorial and lunch at Case Vecchie. Afternoon writing workshop followed by writing tutorials and then a group discussion. Salad collecting and garden walk with Rachel, Luisa, and the gardeners, final dinner and after dinner readings in the garden. Final group round table and discussion, sharing of work for book. We hope the conversation from our writing community will continue through online discussion and continued feedback. All-inclusive: 2,500 euros per person for single-occupancy, 2,300 euros per person for double occupancy. There are a maximum of 9 places. For more imformation and booking please get in touch with elke@annatascalanza.com or through the school website. Sigh… I’ll have to enjoy vicarious pleasure – and that I do! 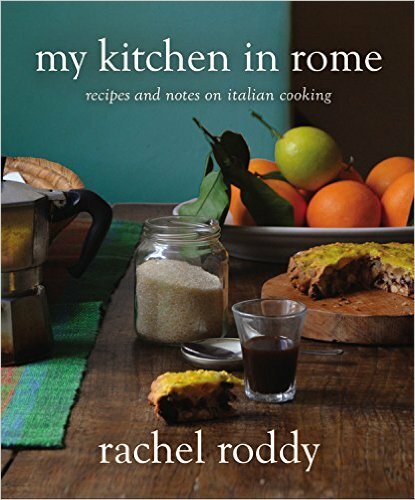 I want to ask if you’d be interested in talking to an association of international women in Rome – just down the road from Testaccio at FAO – about how you came to do what you’re doing now. If you are, please contact me and we can discuss dates. We were discussing work related topics in our UNWG group and one person suggested that we need to hear from people who find ways to do new, exciting things in Rome. I thought of you, since I follow your blog, and you seem to me an excellent example of somebody reinventing herself creatively in her new home. rachel- remember Honey from a weed* i had many a lunch at that table. cw. Hi. This is a question about your gnocchi recipe. Can I make the dough in the morning to cook and cook them at dinner time? Does sound brilliant. I’m still stuck at the beginning with the phrase “flexibility of expectations.” What a wonderful piece of advice to carry along in life. In my wildest fantasies I would be there this June with you all, but alas it’s not to be. Would you be willing to share a list of the required readings for this workshop for all of us who cannot attend? Oh how wonderful to be able to cook and write at Fabrizio’s place in Sicily. Ever since meeting her here in Princeton a couple of years ago, I’ve been wanting to attend a workshop there. The timing is not so great this year, but in the future, yes, yes. Your writing, your new book — just wonderful. If my mind could only come up with words like your beautiful “mad windswept branches that look like Einstein’s hair”, I’d be a happy person. Anyone attending the program will enjoy a chance of a lifetime. I’m writing the majority of our blog content at the moment – mainly posts about art and history in Rome. I know it’s not strictly food related, but it’d be great if you considered adding it to your blog roll! See you in June….cannot wait!